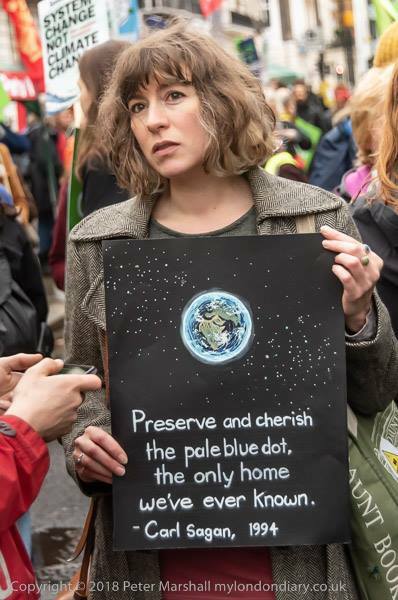 On the eve of UN climate talks in Poland, COP24, we gathered outside the Polish embassy in London, to show solidarity with Polish activists as well as challenging our own government’s failure on climate change. 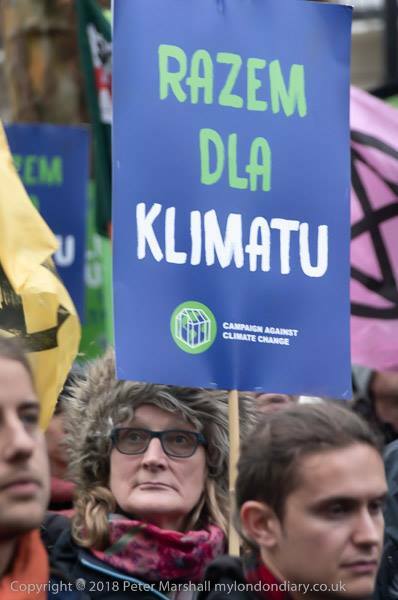 Inspirational speeches were followed by rousing chants of ‘Razem dla klimatu’ (Together for the Climate) - a message to send to the organisers of the Katowice demonstration on 8th December. 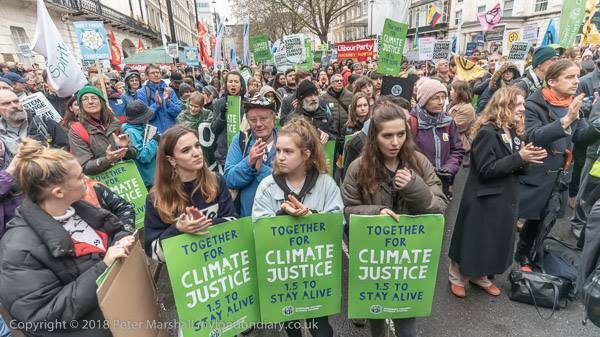 These negotiations to draw up a ‘rulebook’ for the Paris agreement are shadowed not just by the threats of climate denying governments in the US and Poland but also the reluctance of many other governments to act, the sponsorship of the talks by fossil fuel companies and draconian anti-protest legislation. 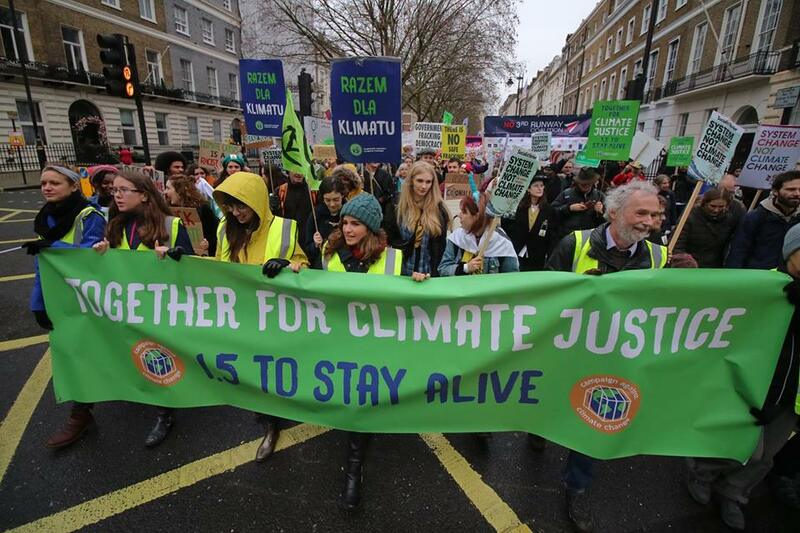 Following the rally, we set off for Downing Street, around 2000 strong. 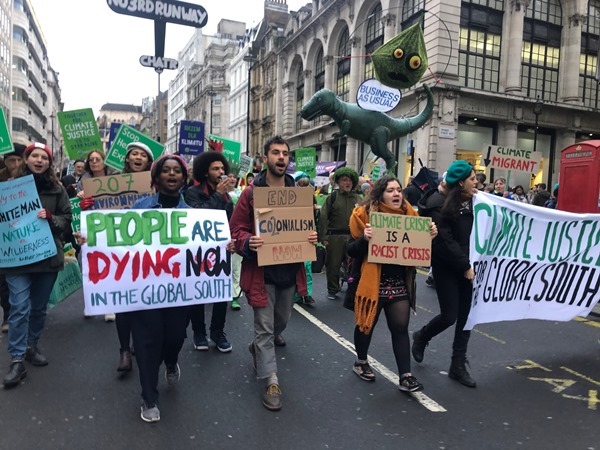 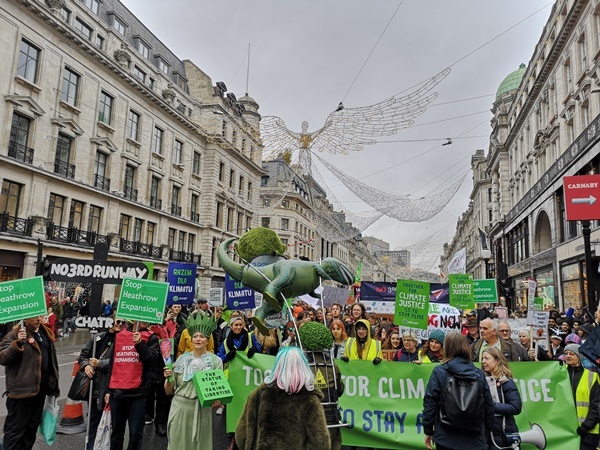 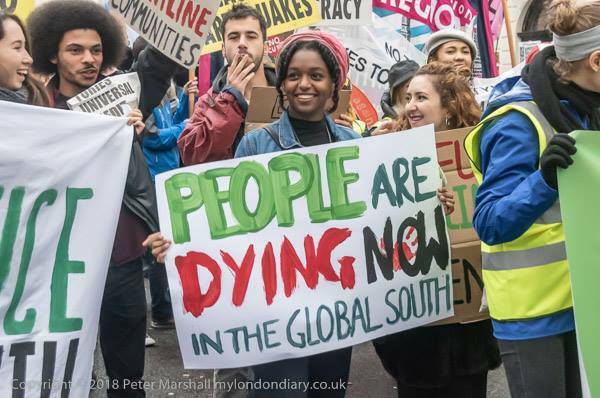 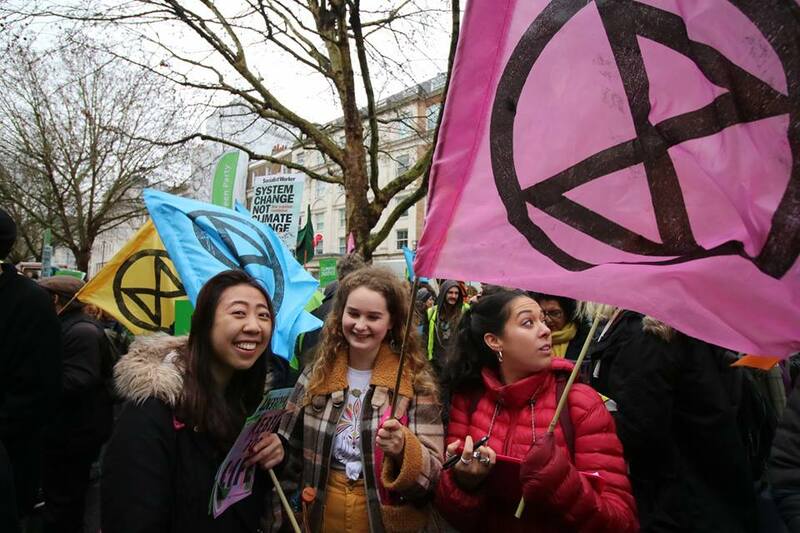 In a sign of increasing public concern about climate change, our march and chants received a positive reception from shoppers crowding on Regent Street, with several even leaving their Christmas shopping to join us. 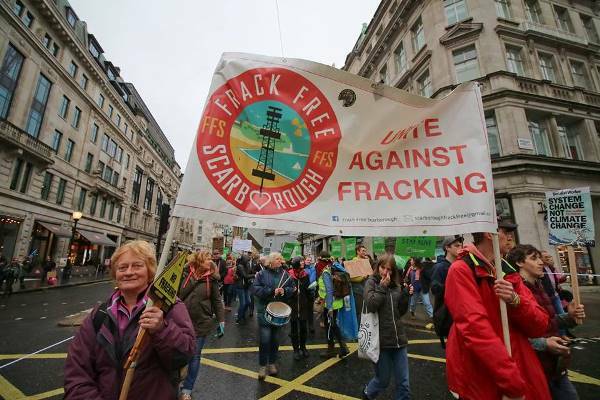 Final speeches were held outside Downing Street, and an anti-fracking declaration handed in, with thousands of signatures gathered in communities around the country by Frack Free United. 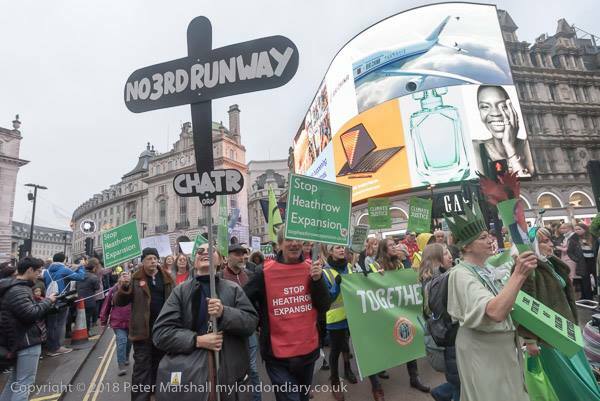 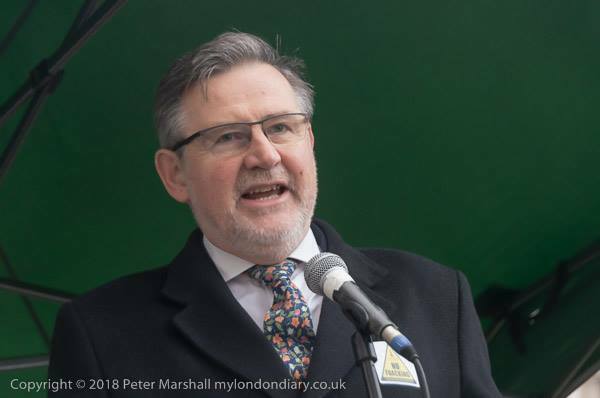 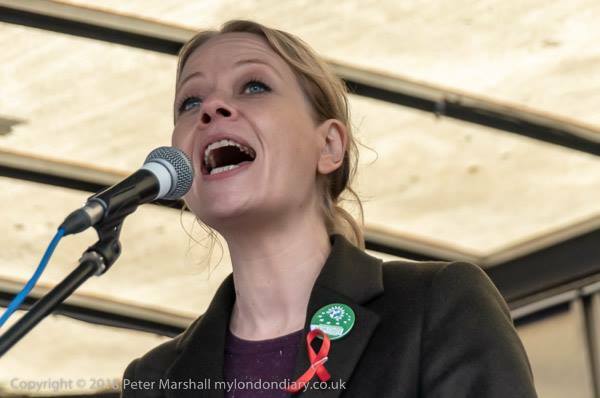 We were glad to have support from a range of organisations and campaigners including two shadow ministers from the Labour Party and the co-leader of the Green Party. 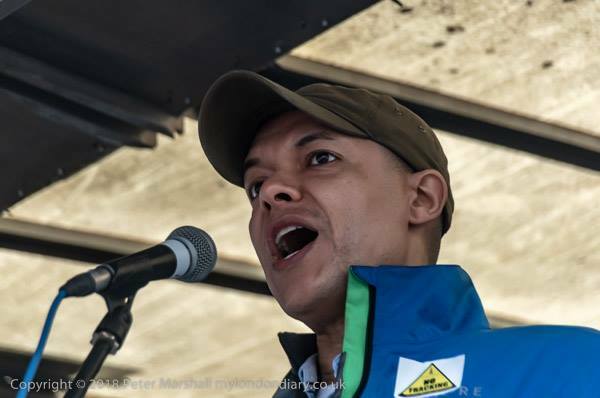 Watch the speeches (videos including the one above by Shaun Dey, Reel News).